Sports Injuries Category Archives — Illinois Personal Injury Lawyer Blog Published by Illinois Personal Injury Attorneys — The Collins Law Firm, P.C. As March comes to a close, the NCAA Men’s and Women’s Basketball tournament is in full swing. Brackets are about to be busted, and Cinderella stories are about to be written. College basketball is one of America’s most popular sports, and basketball is the country’s most popular youth sport, played by one million children —450,000 girls and 550,000 boys — each academic year. 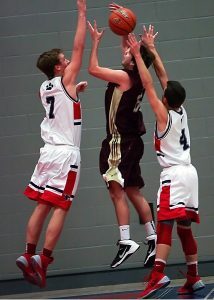 With soaring popularity in youth basketball, injuries are on the rise. Basketball is not typically associated with concussions and other traumatic brain injuries, but surprisingly those injuries are more common in basketball than many other sports. According to the Journal of Pediatrics, basketball accounted for more than 9 percent of concussions among athletes aged 8-19 who participated in youth sports, placing it in second place just behind football at 22%. Soccer ranked third, at 7.7 percent, followed by hockey and baseball, at just under 4 percent each. 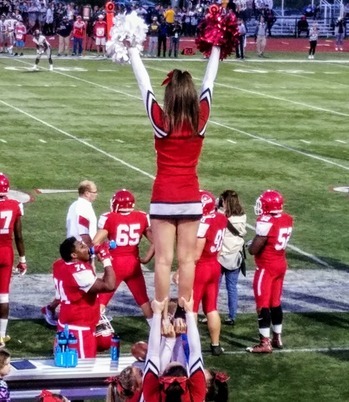 Cheerleading has long been a popular sport for girls, with football games and cheerleading being a Friday night staple in this country. Recently, a lot of focus has been put on the dangers of concussions in football, but very little attention has been paid to the concussion dangers involved with cheerleading. And that may be putting our children in danger. Today’s cheerleading is very different from that traditional image of sideline cheering on a Friday night under the lights. As competitive cheer grows in popularity, it is changing the face of the sport. More and more, cheerleading is becoming a serious athletic sport, combining expert level gymnastics, dance, high-flying jumps and technically difficult stunting and basket tosses. And that is making cheerleading more dangerous. Just how Dangerous is Cheerleading? Last week, in a surprising but welcome move, Naperville’s School District 203 announced that beginning next year, the middle school tackle football program will be replaced with flag football. Naperville’s School District 204 made a similar decision earlier in April. 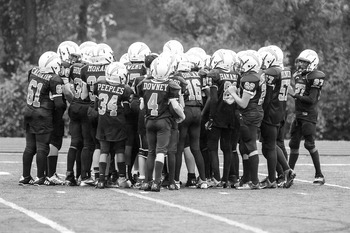 The announcements came after several seasons of decreasing participation in the sport and growing parental concern about their children’s safety, particularly with regard to concussions. The personal injury lawyers at The Collins Law Firm applaud this decision. 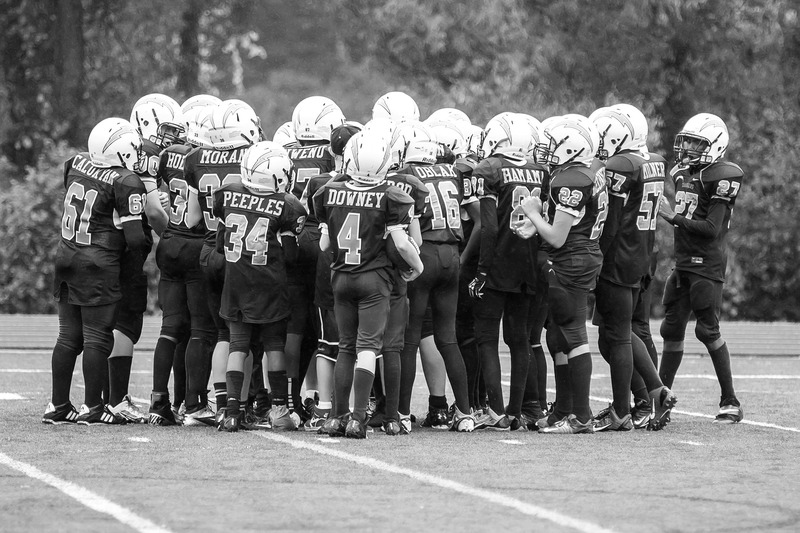 For a while now, we have been following the discussions surrounding football and the emerging studies on the long-term health effects from sustaining concussions, and we feel that it is time to take action to protect children. Moved by a similar concern for children’s safety, Illinois state representative Carol Sente proposed the Dave Duerson Act in January of this year. Under her bill, children under 12 would be barred from playing tackle football. The bill is named for former Bears standout, Dave Duerson, who was diagnosed before his death with chronic traumatic encephalopathy (CTE), a degenerative brain disease linked to repeated head trauma. Your child plays a sport with a high incidence of concussions–like football, soccer or hockey–and he or she has had a concussion in that sport. Should you be worried? Maybe, according to a recent study by physical medicine and rehabilitation physicians. The home environment and good parenting can make a difference in recovery. Children in supportive environments show fewer effects than children from chaotic or disadvantaged homes. Nearly 2 million children in the United States suffer sports-and recreation-related concussions annually, and many of them may go untreated, according to a recent study. 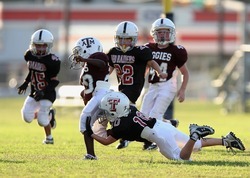 Concussions, a form of traumatic brain injury (TBI), are common in children. Sports and recreation is a leading cause in minors 18 and younger, according to researchers. Concussions are especially dangerous in young children because they may not be able to tell you how they are feeling. You’ll need to watch them carefully for any signs and symptoms. When we turn on a football game, we expect to see hard-hitting tackles. What we don’t immediately consider is the effect those tackles have on the human brain. Concussion has become a Sunday afternoon buzzword when watching NFL games, but it is not just professional athletes who are dealing with the effects of traumatic brain injures. Concussions and other traumatic brain injuries are a dangerous part of our every day lives. Concussions among high school athletes in particular are on the rise. According to the National Institutes of Health an estimated 300, 000 sport-related traumatic brain injuries, predominantly concussions, occur annually in the United States. Sports are second only to motor vehicle crashes as the leading cause of traumatic brain injury among people aged 15 to 24 years. August 2, 2013 | The Collins Law Firm, P.C. As of this weekend, high schools across the state will be required to get catastrophic health insurance for their sports players. Known as the “Rocky Clark Law” (named for the Eisenhower High School player paralyzed from an injury in 2000) the law will require that every student-athlete be covered for millions of dollars for healthcare stemming from catastrophic personal injuries. The law is expected to be signed in by the Illinois Governor later this weekend. Many school districts already require, or provide, large health insurance for student athletes. While this long can go a long way towards helping injured young people and their families deal with a tragedy after it happens, more important are efforts to avoid tragedies, and prevent injuries, before they happen. That is where programs to educate student athletes come in. As part of USA Football’s “Heads Up” program, student athletes, in one of the most violent contact sports played, are being taught how to play the game safer. It is all part of an initiative to make sports safer, and avoid serious personal injuries such as concussions from occurring in young people nationwide. A copy of Rock Clark’s Law can be found by clicking here.